Remove the battery positive post clampnut-(2).Remove battery positive terminal-(1) at the fuseblock.Disconnect retainers-(3) holding battery positivecable-(4). 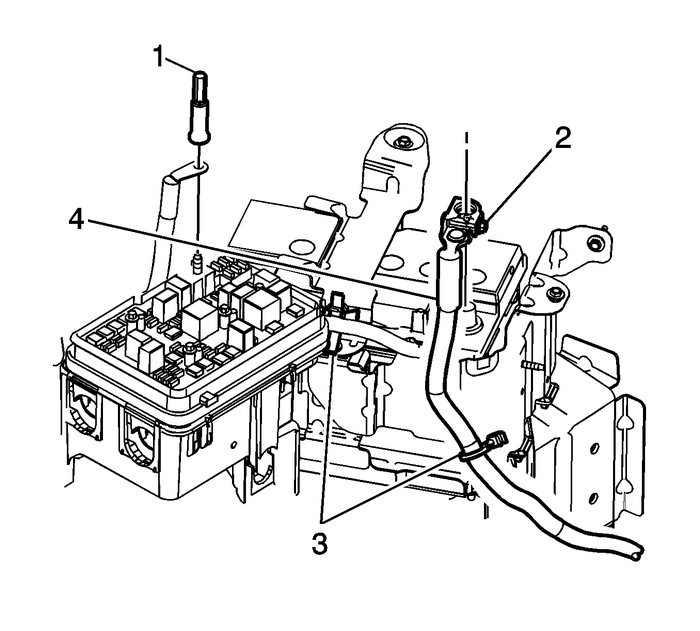 Remove generator nut-(1) from the generator B+stud.Remove the starter solenoid nut-(2).Remove the battery positive (Starter) cable-(4)and the battery positive (Generator) cable-(5) from thevehicle.Remove the retainers-(3) holding the batterypositive cables to the engine. Note:Observe how the battery positive cable was routed within theengine compartment. Install the battery positive cable nut-(2) to theB+ generator stud and tighten to20-Y(15-lb-ft).Install battery positive cable nut-(2) andterminals (Starter/Generator),to the starter solenoid.Tighten to10-Y(88-lb-in)Install retainers-(3) to the engine. 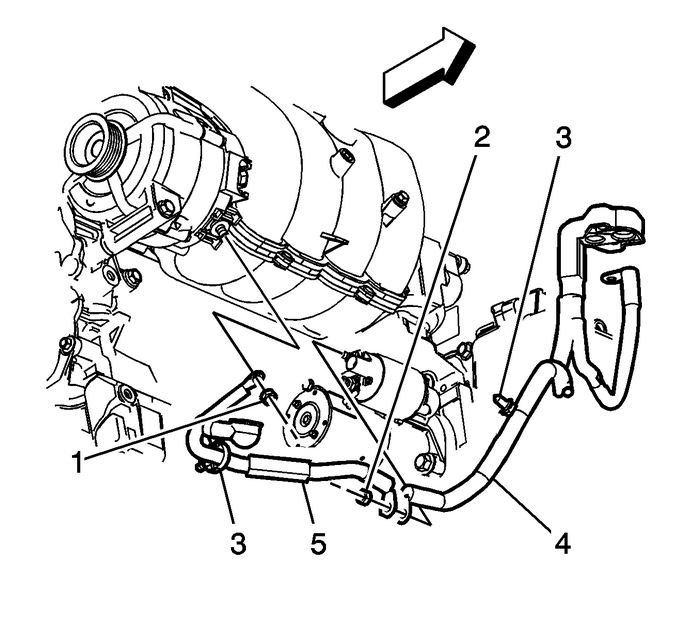 Install the battery positive cable terminalnut-(1) to the fuse block and tighten to16-Y(12-lb-ft).Install battery positive cable clamp nut-(2) tothe battery post and tighten to10-Y(88-lb-in)Install engine control module (ECM) and battery cover.Reset the radio channel presets.